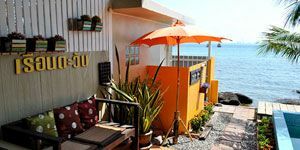 To find a place to stay on Koh Larn is not difficult at all. This is because there are lots of guesthouses, resorts, and home stays available to support tourists. 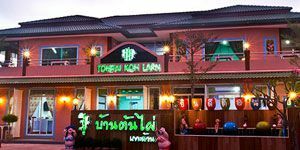 The dense concentration area for Koh Larn accommodation is at Naban Port, since the location of Koh Larn Market is there also. However, this does not mean that every accommodation will locate next to the sea. Many of resorts are even far away from the seawater, but in that case they are usually presented with good services and/or lower price to attract more customers. 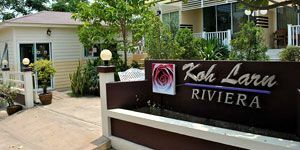 Room rates for most of accommodation on Koh Larn are set differently on weekend (including holiday), and weekdays. This means that room rate become higher for weekend and holiday as many more rooms required by visitors on that timeline. There are some resorts that set the same rate for both weekend and weekday. A room rate also indicates that how many visitors can stay in such room, and how much for extra visitors in that room. This is because staff of resorts will have to make a preparation for extra visitors. The last thing you need to check for a room condition is that there is a breakfast included for such room rate or not. This will help you avoid a problem due to misunderstanding with its condition. To postpone to cancel a room booked, you need to inform staff of the resort 7 days in advance. Otherwise, you will not be able to get back your deposit (you need to deposit your money for booking a room, usually 50%). This is because the resort needs to spend a while on finding new visitors for the room cancelled. Therefore, you have to take responsibility for giving them a late inform. Don't worry about being overcharge for ranting a room as a foreigner, because after asking staffs of many resorts, they said similar answer, "the room rate can be check in the website, so it will be the same". 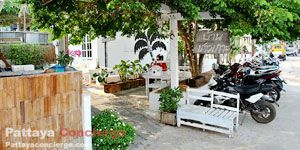 The list below is information of Koh Larn accommodation, but it would be better for you to double check form the resorts, since room rate and conditions can be changed anytime. Note that almost all of accommodation on Koh Larn offer transferring vehicle from the resort to ferry port. In the case you want to book accommodation online, you can search to check special room rate offered. Baan Chalianglom is one of recommended accommodations (mostly by Thai visitors) since its service is really great. There is also a kitchen room and kitchen ware for customers to use. Not far from this resort, there is a private beach which customers can enjoy kayaks for free as well. However, breakfast is not included. 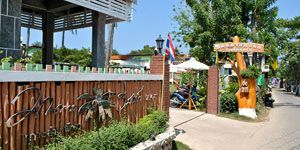 Baan Fahsai is a Koh Larn resort that so popular that visitors need to book in advance for a few months. Rooms are well decorated and sevices from th staff are excellent. This resort is not far from Naban Port as well. Baan Ruen Tawan is also a great resort. Although there are only two rooms available for visitors, its decoration, atmosphere, and services are fantastic. There are kitchen ware and free instant-coffee for visitors (self service) as well. Baan Chao Koh Resort is a white color resort that can support a small group of visitors per rooms (2-4 persons). There are not so far from Naban Port and local super market, so customers will be more convenient. Note that its price does not include a breakfast. Baan Rachawadee is an interesting resort. It recently and creatively presents truck-shape room for visitors to stay. There are a range of room types to support either small or large group of customers. Internet Wifi is also available for visitors to use. 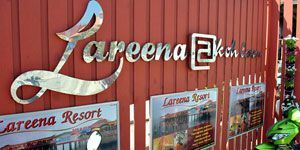 Lareena Resort is the resort located next to the Port of Naban Market. 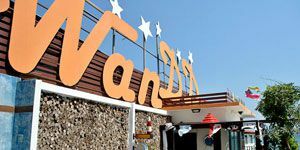 It can be seen as the most convenient resort in Koh Larn, because its location is also behind seven-eleven, 24 hours convenient store. However, every room can support only two visitors (plus a child less than 8 year old). Visitors should take that condition into account to check if this resort is suitable for them or not. Suntree Home is recommended by word-of-mount of visitors. This resort is decorated in stone-classic style. The owner of this resort is pretty friendly and service mind. Its location is about 500 meters far from Naban Port. At Koh Larn Resort (@Koh Larn Resort) is recommended by a lot of customers recently. This is because its decoration is cool and clean. Although it is quite far from Naban Market, many visitors want to live here because of private atmosphere. However, it is also much less convenient than resorts in Naban Port area. 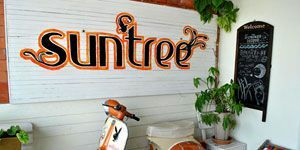 Montra Resort is a good choice resort in Koh Larn. Although this resort is not located next to the sea, its garden area and its room is pretty great. Staff taking care of visitors is also friendly. There are rooms for 2 to 5 visitors. Internet Wifi is also offered here. Wan Dee Dee Resort (WAN DD Resort) is one resort that is well decorated. Its cleanliness, neatness, and sea view inside is attractive for many visitors. Its location is not too far from Naban Port, so it could also be a good choice for visitors. Riviera Resort is a beautiful resort locating in between Naban Port and Ta-Yai Port. This resort is pretty quiet, so it is suitable for those who are after a private place to stay. 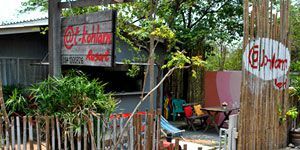 However, there is no need to worry for the dinner because this resort is not far from Chalianglom Restaurant. 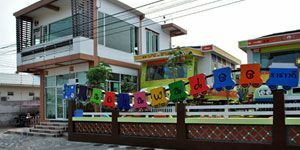 Baan Tonpai is anccomodation on Kohlarn (not next to the sea). 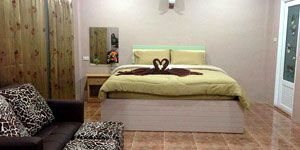 There are 22 rooms - clean,well decorated, and full facilities. Guest can use free internet WiFi and computer at the relax corner. There is a super market of the resort to support guest. 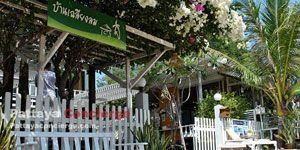 The location of Baan Tonpai is not too far from Naban Port. 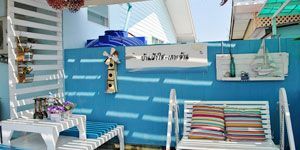 Wilailuck Apartment & Resort Kohlarn is located at the center of Koh Larn, so it is not difficult to customers to go to shops, restarants and beaches. The room is presented with full facilities, ABF, Air Conditioned, water heater, TV, refrigerator, WiFi and a Motorcycle.